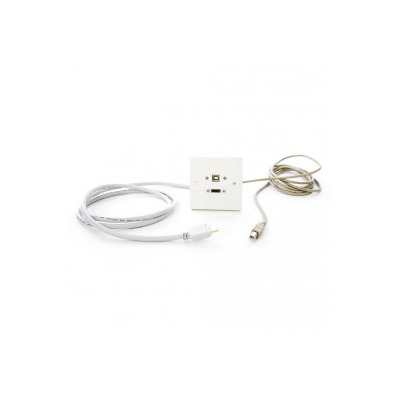 At Euronetwork, we have a fine selection of wall plates with cables attached that offer a neat and tidy solution without the need for soldering. 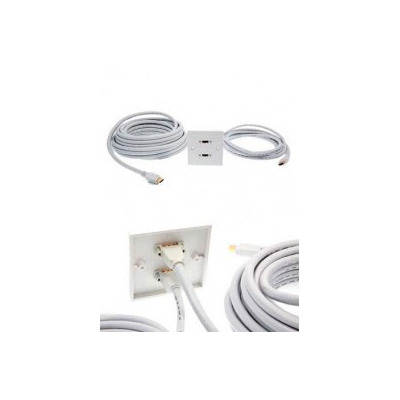 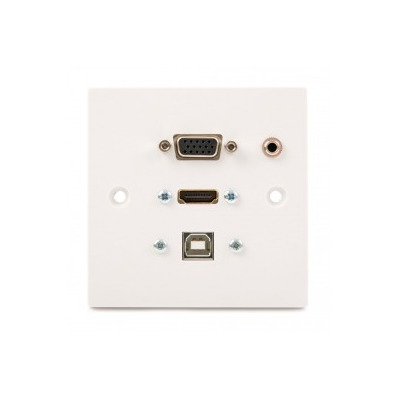 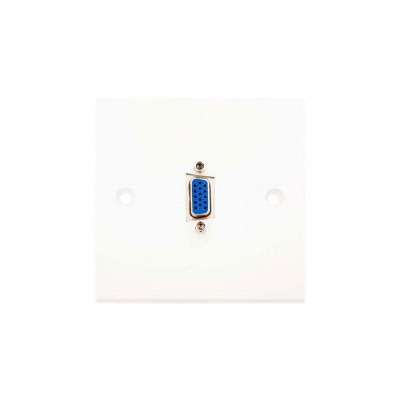 The selection of cable attached wall plates includes various AV connections such as DisplayPort, HDMI, USB, VGA and Audio in both single and double gang wall plates. 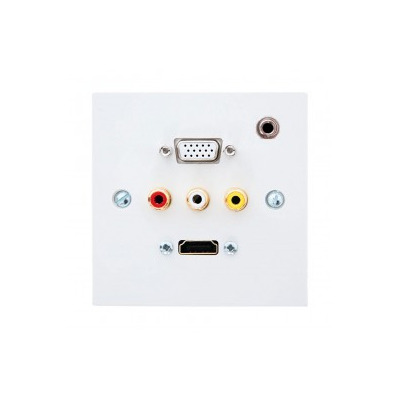 Any of these popular audio visual connections are found on any latest product such as HDMI connections on gaming consoles such as Playstation’s and Xbox or USB technology on the latest tablets and androids. 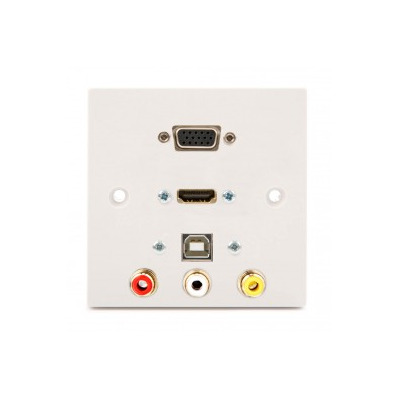 These are just the tip of the iceberg when it comes to Euronetwork’s wall plates, where you can also find plug and play, or solder wall plates. 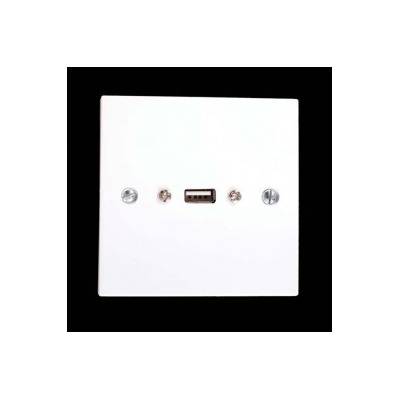 Be sure to browse through our full collection and find what you need from our online store today. 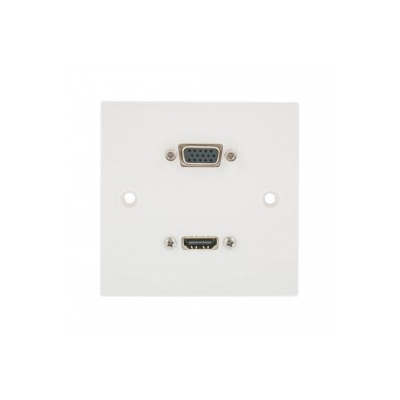 Single Gang VGA, HDMI & USB A Wall Plate. 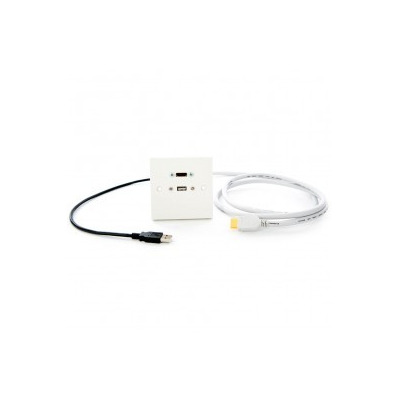 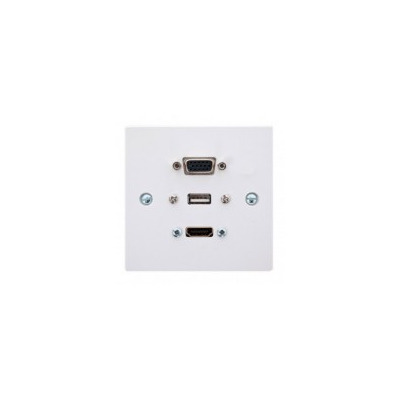 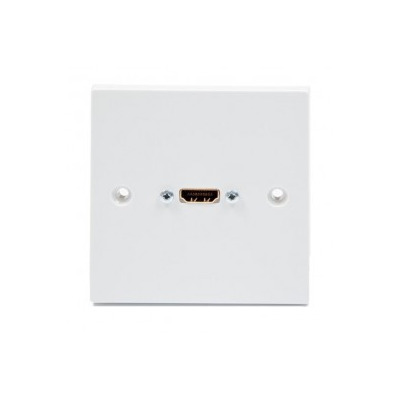 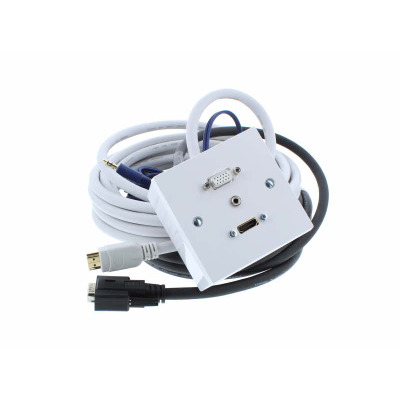 White Single Gang HDMI, USB B-B Wall Plate.